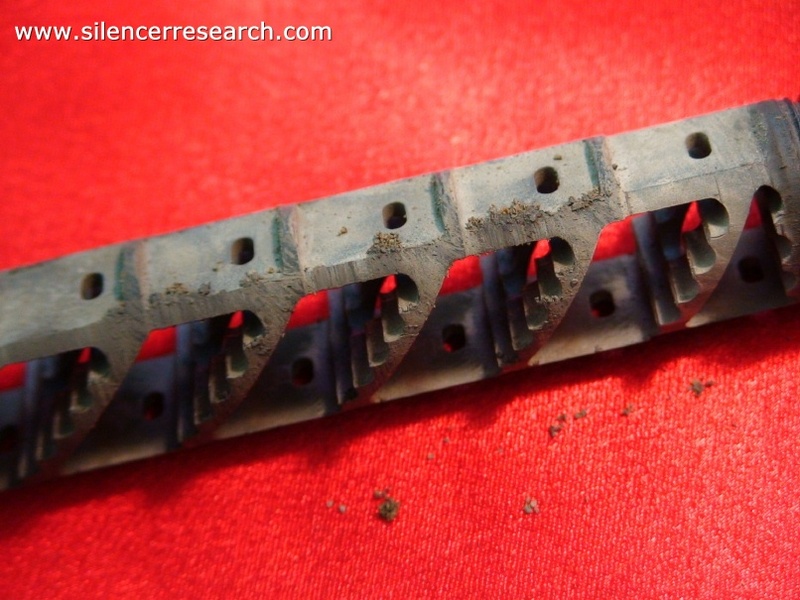 On May 19, 2007 I tested the Aguila 60 grain Sniper SubSonic ammunition. The round appears to be a 22 short case with a long 60 grain lead round in it. The extra weight (50% heavier than a standard 22 long rifle 40 grain round) is a first in the rimfire realm. Being 50% heavier, the bullet would seem like a good choice for hitting your target harder and remaining very quiet. The round will NOT stabilize from a normal 22 barrel that is one in sixteen. The Aguila 60 grain round needs the faster twist rate of one in nine. Here are some pictures of the box and the ammunition itself. Note the long bullet. The tests were conducted using the B&K 2209 sound meter with a B&K 4136 microphone calibrated with the B&K 4220 Pistonphone. All equipment has been certified and tested so that it can be traced back to the N.I.S.T standards. The meter and weapon is also placed in accordance with Mil-Std 1474D protocol. In one portion of the test, I moved the meter to my RIGHT ear to test a Ruger 10/22 accessory. The Ruger10/22 is a standard factory 10/22 with the 18.5 inch factory barrel removed and the Tactical Innovations 16.5 inch threaded barrel installed. The overall length of this weapon is 35 inches without the suppressor installed. For this test, I used the AAC Prodigy. 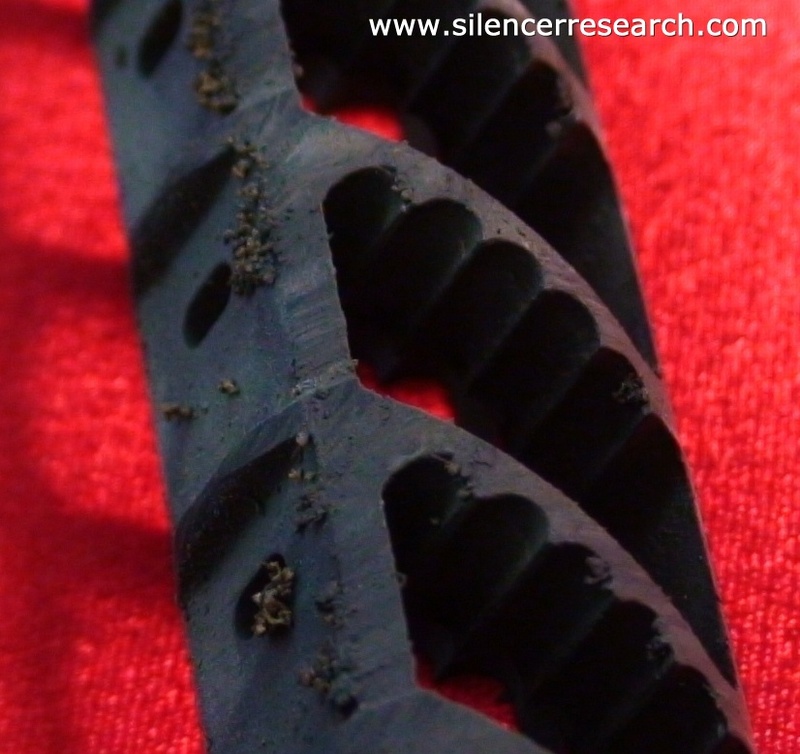 This silencer comes apart at a moments notice for inspection. Atop the weapon on a Weaver base and rings is a Leupold Vari XIIc 3X9X40mm scope. Weight is 6 pounds 1.5 ounces without the suppressor attached and with the AAC Prodigy the weight is 6 pounds 5.15 ounces. I tested the Aguila 60 grain SSS rounds and I also tested CCI Standard Velocity as a comparison and for a frame of reference. I fired five shots to establish the unsuppressed sound level and the applied the AAC Prodigy silencer to the barrel. I fired 10 more shots to establish the suppressed levels. The unsuppressed average was just over 140dB and the suppressed average was 118.6dB. The suppressed range was 117-121dB. The average velocities were 879 feet per second. The published ballistics on this ammo is 950 feet per second. Click the icon to see the video. I fired 10 shots suppressed with the CCI ammo. This test was done as a frame of reference test so one could compare the two ammo types. The CCI Standard velocity had an average of 114.25dB and an average velocity of 1023.5 feet per second. The suppressed range was 113-116dB. In this video you will see the difference between the two ammo types on the meter. 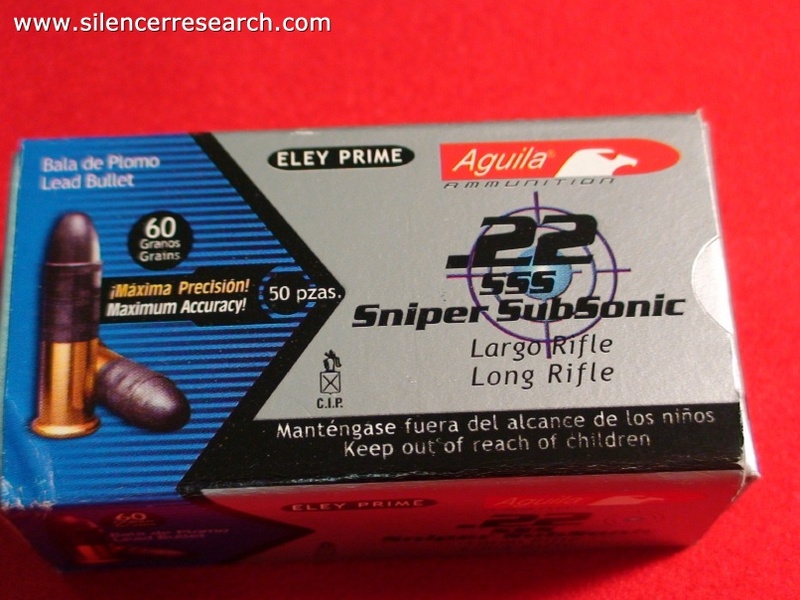 The Aguila 60 grain SSS rounds are over 4.5dB louder. I believe that the short rounds that the Aguila SSS uses contributes to the extra sound. The longer cases of the regular CCI Standard velocity rounds contain the fast burning powder longer and produce a better and longer duration chamber to cartridge seal. The Aguila rounds "pop" louder. Click the icon to see the video. 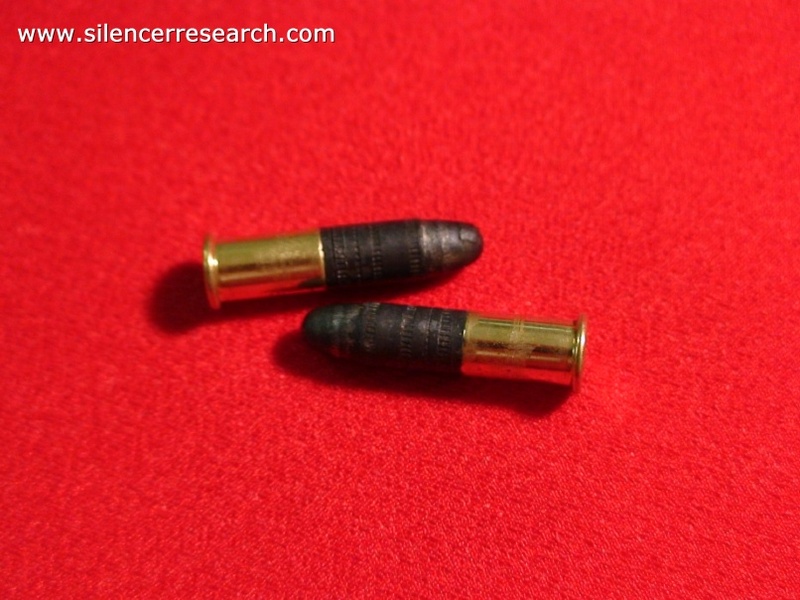 Aguila 60 grain SSS rounds tested with and without the 10/22 bolt locked shut. In an attempt to see if the Aguila SSS rounds meter louder at the ear, I moved the sound meter fairly close to my right ear. I chose the right ear, as this ear is closer to the ejection port of the rifle. I fired 3 Aguila 60 grain rounds and they averaged 135dB. I engaged the 10/22 bolt lock and fired 4 rounds. The average of these 4 rounds were 119dB. That is a whopping SIXTEEN dB difference. Click the icon to see the video. (NOTE THE FIRE IN THE EJECTION PORT ON THE THIRD SHOT). See my review of the JG Bolt Lock HERE. I shot 5 rounds from 25 yards into a one inch circle to determine if the Aguila 60 grain rounds were stabilizing properly. Click the video to watch the target. 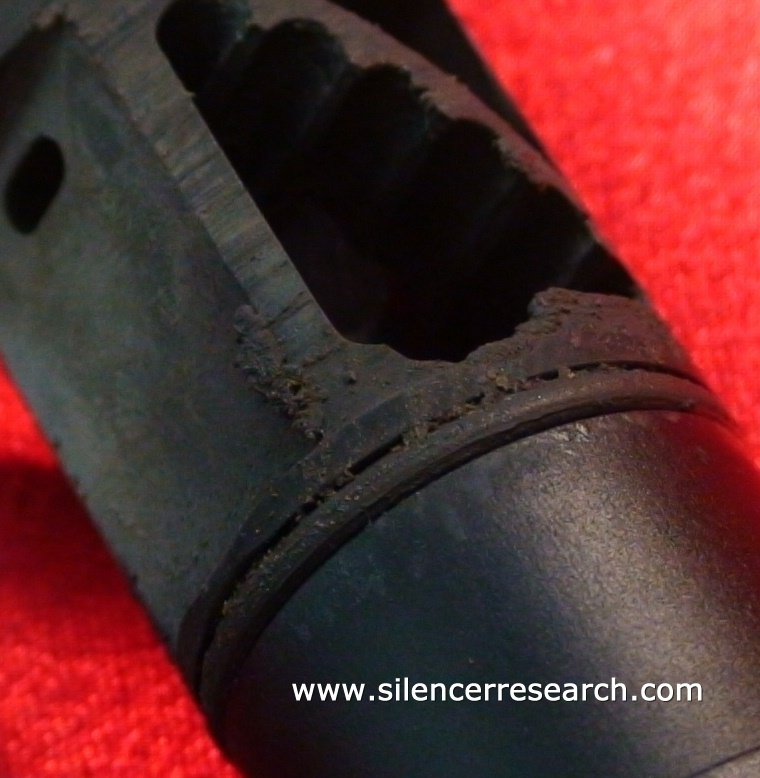 I chose the AAC Prodigy silencer for this test because I can open it quickly and check the baffle stack. I have fired lots of this ammo type and always noted that there seemed to be unburned powder in the action of my weapons. I suspected that the silencer was also getting some unburned powder too. These pictures prove that. This represents around 50-60 rounds of this ammo type. I am not particularly impressed with this ammunition. I have tried for years to use it because of the extra hitting power and the increased energy. After the tests, I have concluded that this ammo would best be suited for a specific barrel type that is chambered for this exact round and only then in a bolt action rifle. I was attracted to the round because of its retained energy at longer ranges, but the ballistics of the heavy round at longer ranges makes it's use limited. Copyright Silencer Research LLC. No part of this article, its videos, or numbers may be posted or used elsewhere without the express written consent of the author.